The ingredient Bonemeal is primarily collected from dead Skeletons and Liches (collectively known as Bones Undead). All varieties of skeletons and liches drop bonemeal except for summons and the inhabitants of Sancre Tor. Bonemeal can also be collected from the already-dead varieties of skeletons found in various ruins. A second variety of bonemeal is collected from the Deranged Zombies found in Bleak Flats Cave. This second variety of bonemeal differs only in FormID (00048734) and in value (2 gold instead of 5 gold); its alchemical properties are identical. Because it has a different FormID, the second variety of bonemeal can be combined with standard bonemeal to create potions that have all four of bonemeal's effects. Both varieties of bonemeal can be duplicated in the Arch Mage's Enchanted Chest, however when duplicating the rare variety of bonemeal you will receive 11 samples of normal bonemeal instead. 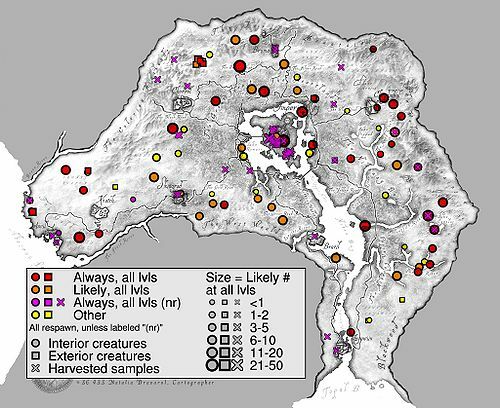 A sample of regular Bonemeal is one of the possible offerings to initiate Meridia's daedric quest (Ectoplasm or Mort Flesh also work, but Bonemeal from Deranged Zombies will not work). Bonemeal is one of only three ingredients which can be used to create a Fortify Luck potion at journeyman level or higher. Combining Bonemeal with Green Stain Shelf Cap or combining the two forms of Bonemeal always produces a potion with a Damage Fatigue negative side-effect. Only combinations including Primrose Leaves have no negative side-effects. Consuming a large enough amount can render you unable to move in a way similar to paralyze spells. This is caused by the Damage Fatigue effect and can be exploited using any ingredient with a Damage Fatigue effect as the first effect (Bonemeal, Dreugh Wax, Mort Flesh, Rat Meat, or any combination). If you look at your Fatigue meter within your journal while you are incapacitated, it will appear as a negative integer. You will not be able to move again until your Fatigue hits zero (Restore Fatigue potions help it replenish faster). It can also be found randomly in the inventories of alchemy vendors (starting at level 1) and in some Necromancer and Vampire loot chests (starting at level 1). 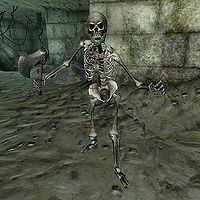 Skeletons/liches can be found at any level in various caves and ruins containing undead, vampires, or necromancers. 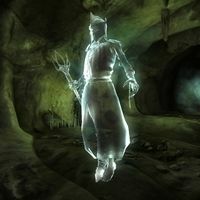 In many locations, the undead are not guaranteed to be bones-type undead; ethereal undead or zombies can also randomly appear. This page was last modified on 29 April 2014, at 19:42.